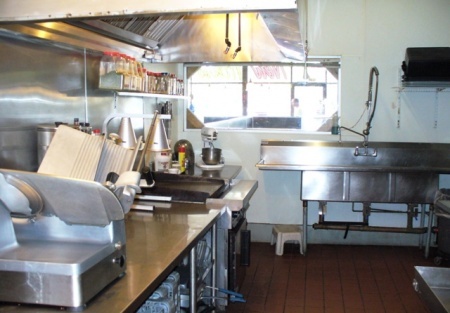 We have a turnkey opportunity to own a restaurant in an upscale Sacramento community. Established in 1976...Many of the old timers still talk about bringing their children in when they were young, while their children “now grown” come in with their own children and excitedly order from the original menu selections. Previously the restaurant employed more than 20 employees and delivered to all the local schools. One expected to wait for a seat if they arrived after 11:30 for lunch and due to the local cliental being upper pay scale government employees, large catering jobs ran several times a week. Area: This is a great area of Sacramento close to the Sacramento river......Consisting of Urban Sophisticates, Artsy/funky, Walkable and Friendly. Menu: The current menu consists of Homemade Soups, Salads, Sandwiches and Desserts. Kitchen: Comes with a hood system & equipped with all the necessary equipment to serve breakfast, lunch and dinner. There is also an outside storage as well. Lease: Perfect size space @ 1,500sqf. The rent is Great at $1.36 sqf., Base Rent is $2,041.87 + $200 nnn per month. The owner has made many improvements to the business including adding some equipment, cleaning the place (really clean!) and implementing procedures to make the business run smooth. The owner has stated that sales are over $14,000 per month and growing. Currently lunch is the strong point. If a new owner were to focus on marketing and building breakfast and dinner, sales are sure to climb nicely based on the owners experience to date. Reason for selling: The current owner comes from a tech background and is returning to his previous occupation. The owner has no experience in the restaurant business and has seen sales grow, so imagine if you added some experience. The owner is willing to provide training after the close to ensure things are on the right path towards success. This one won't last long, so make your offer quick if you want it! WANT THE NAME, ADDRESS & PICTURES?then become a free member of SellingRestaurants.com. It's Free!